I began hosting Jewish events for groups of mostly non-Jewish friends in college and have been so grateful to have the opportunity to share my Judaism with those of different backgrounds ever since, especially when I’ve lived in communities without many Jews. I’ve found the experience of welcoming those of all backgrounds to Jewish events incredibly rewarding. I heard there were a few hosts out there looking for guidance on running interfaith events, so I’d like to share some of the things that have served me well over the years. Are you hosting an interfaith Seder? Been thinking about inviting some friends over for a multifaith Shabbat? Here are some general tips for your next multifaith event! 1. Start simple. You don’t have to put on a huge production just because different folks are coming in the room. Potluck Shabbat your go-to? Go for it. If you’re thinking about more challenging ways to engage people from other faith or non-faith backgrounds that’s great and do it, but remember that you can always start with small steps and work up to it if you need. 2. Consider your audience when planning what type of event you want to do. What your event looks like should depend on the group you’re inviting. Casual friends from kickball? Might be most interested in learning about your family traditions around a holiday. Peer grad students from a program on theology? Maybe they’ll want to do a discussion comparing Jewish and another faith’s beliefs around a specific topic. Or vice versa—you know your audience best. 3. Plan ahead to set your guests up for success. Keep your friends’ perspectives in mind when planning, especially those who might not be familiar with Jewish customs, so that you can give them a heads up on things (whether that’s letting them know that their contribution to the potluck needs to be pork-free, or that they should be ready to sing a lot, or that they shouldn’t take their cell out during Shabbat dinner, or whatever fits your Jewish life and practice). Also, check an interfaith calendar (like this one) to make sure your event does not conflict with another group’s festival; or if it does, talk to your friends about how to make them work together! In 2019, the first night of Passover falls on Good Friday for Christian friends from certain denominations. If they’re joining, talk to them and maybe consider keeping that Seder pescatarian or vegetarian. 4. The right people are those who are in the room. If you invite non-Jewish folks to a Jewish holiday, some might seem uncomfortable or even decline. And that’s okay—the right people will always be in the room for these conversations. Try to accept that people have different comfort levels. 5. Your friends will be curious about your experience of Judaism. You will likely get a lot of genuine, interested curiosity from those who come to your event. They are friends with you for a reason, and friends like to learn about their friends, plus they agreed to come to your event so they are probably going to be genuinely and lovingly curious. Embrace and encourage it! 6. Speak from “I” statements. It’s good practice always, but especially here: when speaking about “Jews” or “Judaism,” remember that your experience will not match everyone else’s. Speaking about your personal experience of Judaism is an authentic, personal way to invite your friends into your community. “In my family, we would…” or “I identify as ‘Jewish’ because…” etc. 7. You don’t have to be the Jewish expert. 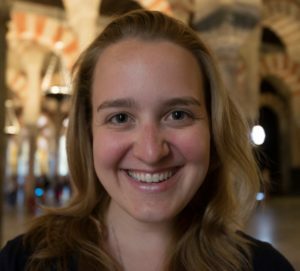 It can feel intimidating to invite folks of different backgrounds for a Jewish event because they will inevitably have questions…and you might not know the answers. Just remember that you do not need to be a Jewish expert to host a Jewish event. Don’t be afraid to admit it if you don’t know something. But also, I have found it helpful to gather some facts ahead of time—sometimes I make short info sheets to answer some of the basic questions I anticipate from my guests around a specific holiday. 8. People will disagree with you. There will always be folks in the room who don’t agree with you, and some might even say it—but don’t let that scare you! Hopefully they’ll do it nicely, but whether it’s another Jewish person questioning your explanation of something, or a non-Jewish friend pushing back on something you say, try to live in that place of respectful conflict and practice fostering meaningful conversation around different topics. We can respectfully disagree and still love each other. 9. You can find support locally! If you’re ready to ramp it up, you can find help in your community around interfaith events. A lot of cities or towns have interfaith groups that would likely welcome a random phone call from someone looking to host their first multifaith event. A quick Google search should be your first step. One idea is that you can connect with your local IFYC (Interfaith Youth Core) alumni group (email IFYC here), which is made up of young people who worked on interfaith in college and can offer you suggestions and help. 10. Trust your gut. General life advice. 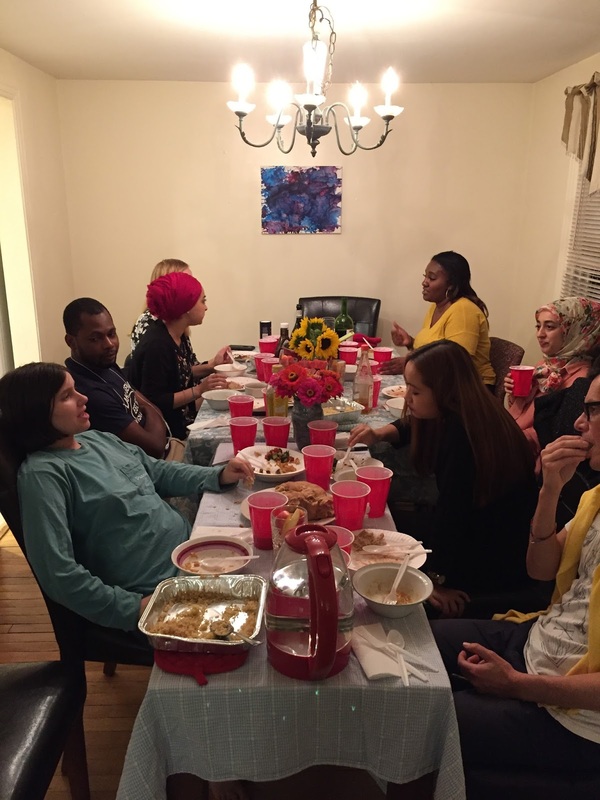 Have more questions about how to create an interfaith program? Contact your MHWOW staff member! They are happy to help you develop your idea into a great event. Sharing the Well: A Resource Guide for Jewish-Muslim Engagement – This guide is literally 150 pages of resources connecting our traditions of giving, social action, family relationships, prayer, life cycle events, holidays, and more. Islamophobia and Being an Ally – This conversation guide from the Anti-Defamation League is a great way to set the context for your interfaith programs; it pushes us to establish why being an ally is important in order to make change. Sisterhood of Salaam Shalom – Sisterhood of Salaam Shalom connects Muslim and Jewish women to fight hate, negative stereotyping and prejudice. They have 150 chapters in the United States and Canada, and they’re looking to expand! Go to their website if you’d like to start a chapter in your city. This is just the beginning of a series of interfaith program resources that we’ll be publishing in Schmoozeletters to come! Is there something specific you’d like to see? Let us know at withoutwalls@moishehouse.org!